You are here: Home / Health / Climate Change IS REAL. (ThyBlackMan.com) Throughout the history of humankind, there have been incorrect explanations and theories for the cause of natural events. Ancient Greeks and Romans thought that lightning bolts were thrown to Earth by angry gods. They thought that volcano eruptions resulted from the overflow of forges from blacksmith gods working below the surface of the Earth. The Chinese believed that a solar eclipse was explained by a large dragon eating the sun. In the broader scheme of things, only recently have we dispelled the belief that the Earth was flat. These beliefs result from the innate human requirement to give reason to common occurrences. Knowing why something happened or being able to give it a “satisfactory” explanation appears to provide a much-needed sense of psychological security. There are people who believe that the Sun revolves around the Earth and that Chinese folk walk in an orientation that is upside down from us. We have been blessed with the ability to accumulate knowledge and interpret information. As we have amassed empirical data and our cache of knowledge has increased, we have developed more accurate and valid explanations for the aforementioned natural events. Those revelations are given to us by the division of study we designate as Natural Science. We now know that lightning results from the discharge of static electricity generated by the Earth engaging the atmosphere. We know that volcanoes erupt and release molten magma or liquid rock through the surface or mantle of the Earth. Because of our recent solar eclipse, most of us know they result from the Moon casting its shadow on Earth as it passes between it and the Sun. With photographic evidence, we’ve even come to know that the Earth is round and not flat. Because of Hurricanes Harvey and Irma, most Americans are aware of the satellite imagery that has allowed us to predict and prepare for their devastation and destruction. Through the “magic” of Natural Science, we are capable of accurately plotting their path, intensity and duration. If you can imagine the potential for loss of life without these tools, you should be grateful that we have them in our arsenal to fight for the preservation of life. A body of evidence – both empirical and coincidental – supports the theory that the human footprint is a causal factor in the generation of more severe weather events. From storms to droughts and the resulting topographic change to the Earth’s surface, we are affected. Unfortunately, there are those among us who, while accepting the scientific accuracy of our weather forecasts, will not accept the reasoned judgment of those who have determined humankind as the cause for the increased frequency and destructive nature of these weather events. The automatic question is why is scientific evidence rejected so vehemently? From my readings and study, I conclude that the economic interests which influence or control political decisions weld greater power than the political interest in our future. This is evidenced by loosening of regulations protecting our water and air. We have surrendered the effort to reduce “greenhouse gases” to corporate control. Our nation has withdrawn from a global effort to confront the impact of climate change. There is an old adage, “There is none so blind as he who will not see!” Those in the highest positions of government and corporate responsibility have selected “Blindness” in order to worship at the feet of profit and greed – to the detriment of the health and welfare of our citizens. For wealth and power, they have chosen to push our environment to the brink of its sustainability. Years ago a great prophet, Marvin Gaye, asked the question about our Earth. “Mother, Mother, Mother! How much more abuse can you stand?” That same question should be asked today! With global warming, it’s possible that global warming would still be happening naturally. I compare global warming to the tobacco & emphysema. Some people get emphysema because they have bad genes and some people get emphysema because they smoke tobacco. Then there are people who use tobacco their whole life, but do not die of any tobacco disease because they have good genes. But it’s better to not use tobacco. Not all smokers get emphysema, but if you smoke, you raise your risks of emphysema. Global warming discussions on pollution must be thought of the same way as tobacco. It’s better to not have pollution, incl. greenhouse gas pollution. 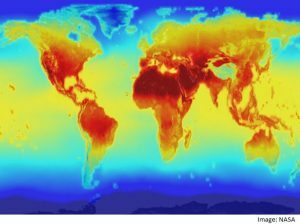 It’s possible that even w/o greenhouse gas pollution, that global warming would still happen, because earth’s temperatures would change. But cleaning pollution is a good idea. I think greenhouse gas pollution adds to global warming, but it’s possible that global warming would still happen regardless. To reduce greenhouse gas emissions, I support nuclear/atomic energy & I also support geothermal, hydroelectric dams. We should go with the Liquid Fluoride Thorium Reactors and also we should use Small Modular Nuclear Reactors (SMR). http://environmentalprogress.org/ is a good environmental organization which supports atomic/nuclear energy to reduce greenhouse gas emissions. American Lung Association supports nuclear/atomic energy and it was President Dwight David Eisenhower who had the atoms for peace idea. The 3 energy sources which reduce greenhouse emissions and benefit the environment are nuclear/atomic energy, hydroelectric dams and geothermal.